Executive summary - they were nice! Thanks. Got some Earth and Sky coming next week so will put it away for a few years. I have a couple of bottles of 2012 in my wine fridge. Think I will leave them another year or so, but I really don’t know when the best time would be. And I still need to decide which ones to buy more of. I think it will be some of the cheaper Naoussa wines. Maybe whichever ones have not yet sold out. I bought one too which I’m looking forward to. 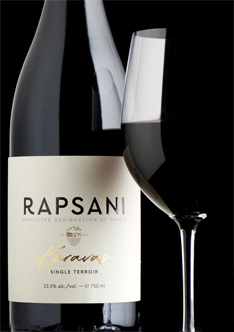 Got the other Rapsani wine as well and the Earth and Sky which was a lovely wine. Maybe I’ll open the Earth and sky tonight ! Thanks for posting the link to your blog Steve. Having bought the mixed case and a bottle of the ‘nature’ on top that was really informative. Can only concur with your opinions on the two I’ve tried so far, the Jeunes Vignes and the Rose. I particularly enjoyed the comment about the Rose reminding you of a childhood fizzy drink as it took me back to childhood too. Rose hip syrup came to mind with me, not that I felt the wine was in any way confected. (I’ll be picking up another three bottles next week). Your thoughts on the other more expensive wines, which I am still to try, are very much appreciated. Cheers ! I’m pretty sure my wife noted rose hip on the rosé too. But even after prompting I still didn’t get it. And the childhood taste of Delrosa is still firmly engraved on my palate too, so rose hip does feature in my tasting notes from time to time. Such is the way with different tasters! The way we perceive things as individuals is worthy of a thread in its own right. A fair bit gets written about bottle variation, but for me personally, the biggest variable in wine is perhaps the human doing the tasting. I am the weakest link, goodbye ! Oh, will most likely post reviews of the other wines if they remain in stock when broached. If I’m in a good mood, if nobody has upset me and if I haven’t eaten any sugary or taste bud coating foods beforehand. Absolutely, and the context of tasting is important too. I don’t want to keep linking to my blog here, but I spent a lot of time banging on about such issues there if you are interested in that sort of thing. Even in the 7 Thymiopoulos wines write-up, I mentioned in my blog that when I returned to them after the initial tasting, what seemed like clear differences between the wines were less certain. Of course it may just be that I am a rubbish taster but, based on everything I have read, I suspect I am pretty average for someone that shows an interest in tasting wine. I will be reading more from your blog in due course. What I’ve read so far certainly struck a chord or two. Living in a bit of a vinous bubble it’s always fascinating to read other people’s opinions on wine. Especially one’s I’ve tried or am looking forward to in the future. Colour - surprisingly deep. Excuse the pun but due to the nature of the wine I was expecting something lighter. Nose - a bit reticent, red fruits, tar and a floral quality. No obvious oak. Taste - sip one, quite a bit of drying tannin. Once again, I was expecting something lighter, this is pretty serious stuff. Less so on sip two, taste buds now aligned, make that grippy tannins. Deeper and richer than the Jeunes Vignes. Dense savoury fruit, a subtle medicinal quality, flavours similar to the bouquet. I’m sure this has seen oak but it’s by no means obvious, it just provides texture and seasoning. Lovely fresh acidity cuts through the tannins bringing balance. Good length of flavour. Sip three, same as sip two, it reminds me of a Langhe Nebbiolo. Think this will chime in well with the thyme in tonight’s lamb stew. Time to decant. Dumplings ready ! Edit - just checked your notes. Similar opinions expressed in different ways it seems ! 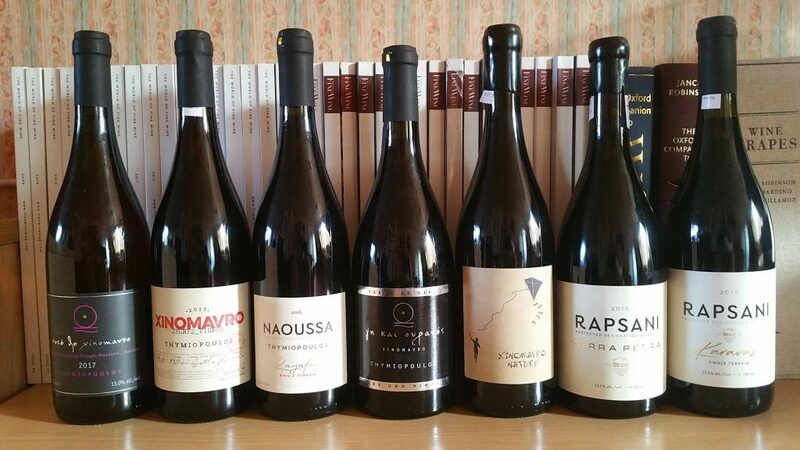 As someone who was relentlessly trying to get people to try Greek wine when working at Oddbins nearly 20 years ago I’m loving the enthusiasm for Thymiopoulos’s great range. Greek wine is still underrated and the quality across the board seems to been on the rise! Yup, similar apart from me not noticing any oak. Ah, just reread and you didn’t either. Yet for some reason you are sure it saw some oak? Just that it reminded me texturally when I tasted it of other wines that I know have seen old or large oak but had no obvious aroma or flavour. The wine has a bit of earthy spice to it but think that’s from the fruit. Funnily enough, last week I had a bottle of Nadia Curto’s Barolo Arborina 2012, a very good traditional Barolo matured in large old oak, or so I thought. Checked her website, and there it was in black and white, matured for 24 months in barriques ( it didn’t mention their age ). I laughed out loud. I jumped on the bandwagon this evening, with the Terra Petra. Lives up to the hype: fine-bodied and refreshing, but plenty of complexity and depth of flavour. It reminds me of Pinot Noir in many respects, but follows up with a certain bitter ‘oomph’ on the palate. Did you open it then and if so how was it ?